PT Indonesia Power - PT IP more popularly called "Indonesia Power" is an Indonesian companies that is involved in electricity power generation industry. Indonesia Power is recognized as one of the largest electricity power generation companies in Indonesia with installed total electricity power capacity of 13,797 MW. PT Indonesia Power is an electricity power generation subsidiary company of PT PLN (Persero) or PLN Group. Indonesia Power’s shareholders are PLN Group and YPK PLN. PLN Group, which owns 99.99% of Indonesia Power’s issued share capital, is the largest state-owned electricity companies in Indonesia. YPK PLN owns 0.1% of Indonesia Power’sissued share capital and is an employee cooperative in PLN. Headquartered in Jakarta, Indonesia Power runs its business through 5 Generating Units (GU), 3 Generating and Generating Service Units (GGSU), 1 Maintenance Service Unit (MSU), and 6 Generating Service Units (GSU) spread actoss Indonesia. Indonesia Power also supported by 5 directly-owned subsidiaries, namely PT Artha Daya Coalindo (60%), PT Cogindo Daya Bersama (99.99%), PT Indo Ridiatama Power (86.4%), PT Tangkuban Parahu Geothermal Power (95.2%), and PT Putra Indotenaga (99.99%). The Company also supported by 1 joint venture company (PT Perta Daya Gas, 35%), 1 associate company (PT Indo Pusaka Berau, 46.53%), and 1 sub subsidiary company (PT Rajamandala Electric Power, 51% shares held by PT Putra Indotenaga). In 2015, PT Indonesia Power succeeded in achieving acceptable and sound growth. 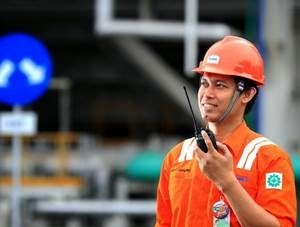 According to PT Indonesia Power Annual Report 2015 as quoted by JobsCDC.com, Indonesia Power booked total net income of Rp 4.68 trillion in 2015 or experienced an increase of 184.08% as an impact of assets revaluation. Bachelor Degree or Equivalent (S1/D4) in Administration (profession code SAD), with major study in : Business Administration, Office Business Administration, Logistic Administration, Public Administration, Commerce Administration, Commerce Administration and Secretary, Office Administration, Corporate Administration, Public Relation, Business Administration Science, Commerce Administration Science,Secretarial Science, Communication Science, Secretarial, Secretary and Office Administration, Mass Communication, Administration Management, Marketing Management, Secretary. Diploma Degree (D3) in Administration (profession code DAD), with major study in : Business Administration, Office Business Administration, Logistic Administration, Public Administration, Commerce Administration, Commerce Administration and Secretary, Office Administration, Corporate Administration, Public Relation, Business Administration Science, Commerce Administration Science,Secretarial Science, Communication Science, Secretarial, Secretary and Office Administration, Mass Communication, Administration Management, Marketing Management, Secretary. Bachelor Degree or Equivalent (S1/D4) in Finance (profession code SAC), with major study in : Finance Administration, Taxation Administration, Accounting, Finance Accounting, Taxation Accounting, Finance, Accounting Management, Finance Management, Finance and Banking Management, Taxation Management, Taxation. Diploma Degree (D3) in Finance (profession code DAC), with major study in : Finance Administration, Taxation Administration, Accounting, Finance Accounting, Taxation Accounting, Finance, Accounting Management, Finance Management, Finance and Banking Management, Taxation Management, Taxation. Bachelor Degree or Equivalent (S1/D4) in Law (profession code SLA), with major study in : Business and Industrial Law, Economic and Business Law, Civil Law, Criminal Law, Legal Studies. Diploma Degree (D3) in Law (profession code DLA), with major study in : Business and Industrial Law, Economic and Business Law, Civil Law, Criminal Law, Legal Studies. Bachelor Degree or Equivalent (S1/D4) in Human Resource/HR (profession code SHR), with major study in :Human Resources Industrial Management, Industrial Engineering, Psychology. Diploma Degree (D3) in Human Resource/HR (profession code DHR), with major study in :Human Resources Industrial Management, Industrial Engineering, Psychology. Bachelor Degree or Equivalent (S1/D4) in Statistics (profession code SST), with major study in : Statistics. Bachelor Degree or Equivalent (S1/D4) in Business Development (Profession Code : SBD), with major study in : Industrial Management, Industrial Engineering, Project Management, Construction Design. Diploma Degree (D3) in Business Development (Profession Code : DBD), with major study in : Industrial Management, Industrial Engineering, Project Management, Construction Design. Bachelor Degree or Equivalent (S1/D4) in Electro Engineering (Profession Code : SEL), with major study in Electric Power System Analysis, Power Lines, Industrial Electro, Power, Electrical Shipping, Electrification System, Power System, Electrical Power System, Electro Engineering, Industrial Electro Engineering, Control Electro Engineering, Electrical Power Engineering, Electrical Engineering, Electrical Control System Engineering, Electrical Power Systems Engineering. Diploma Degree (D3) in Electro Engineering (Profession Code : DEL), with major study in Electric Power System Analysis, Power Lines, Industrial Electro, Power, Electrical Shipping, Electrification System, Power System, Electrical Power System, Electro Engineering, Industrial Electro Engineering, Control Electro Engineering, Electrical Power Engineering, Electrical Engineering, Electrical Control System Engineering, Electrical Power Systems Engineering. Bachelor Degree or Equivalent (S1/D4) in Instruments Control Engineering (Profession Code : SIC), with major study in : Electronics, Electronics and Instrumentation, Electronics and Instrumentation (Teknofisika), Instrumentation Physics, Physics Engineering, Mechatronics, Automation, Electronics Engineering, Electronics and Control Engineering, Industrial Electronics Engineering, Physics Engineering, Instrumentation Physics Engineering, Control Engineering, Mechatronics Engineering, Metrology and Instrumentation Engineering, Industrial Automation Engineering. Diploma Degree (D3) in Instruments Control Engineering (Profession Code : DIC), with major study in : Electronics, Electronics and Instrumentation, Electronics and Instrumentation (Teknofisika), Instrumentation Physics, Physics Engineering, Mechatronics, Automation, Electronics Engineering, Electronics and Control Engineering, Industrial Electronics Engineering, Physics Engineering, Instrumentation Physics Engineering, Control Engineering, Mechatronics Engineering, Metrology and Instrumentation Engineering, Industrial Automation Engineering. Bachelor Degree or Equivalent (S1/D4) in Mechanical Engineering (Profession Code : SME), with major study in : Energy Convertion, Design Mechanical, Industrial Mechanical, Shipping Machineries, Metallurgy, Mechanical and Machineries Design, Industrial Engineering, Studies of Heavy Equipment Mechanical Engineering, Aeronautics Engineering, Energy Convertion Conservation Engineering, Energy Convertion Engineering, Manufacture Engineering, Material Engineering, Mechanical Engineering, Automotive Engineering, Maintenance Mechanical Engineering, Maintenance and Repair Mechanical Engineering, Production Mechanical Engineering, Production Mechanical Engineering and Maintenance, Metallurgy and Material Engineering, Manufacturing Design Engineering, Production Engineering, Production Engineering and Manufacturing Process, Industrial Mechanical Technology. Diploma Degree (D3) in Mechanical Engineering (Profession Code : DME), with major study in : Energy Convertion, Design Mechanical, Industrial Mechanical, Shipping Machineries, Metallurgy, Mechanical and Machineries Design, Industrial Engineering, Studies of Heavy Equipment Mechanical Engineering, Aeronautics Engineering, Energy Convertion Conservation Engineering, Energy Convertion Engineering, Manufacture Engineering, Material Engineering, Mechanical Engineering, Automotive Engineering, Maintenance Mechanical Engineering, Maintenance and Repair Mechanical Engineering, Production Mechanical Engineering, Production Mechanical Engineering and Maintenance, Metallurgy and Material Engineering, Manufacturing Design Engineering, Production Engineering, Production Engineering and Manufacturing Process, Industrial Mechanical Technology. Bachelor Degree or Equivalent (S1/D4) in Chemical Engineering (Profession Code : SCE), with major study in Chemical Analyst, HIPERKES and K3, Chemistry Analsyt, Industrial Chemistry, Applied Chemistry, Chemistry (MIPA), Environtmental Engineering. Diploma Degree (D3) in Chemical Engineering (Profession Code : DCE), with major study in Chemical Analyst, HIPERKES and K3, Chemistry Analsyt, Industrial Chemistry, Applied Chemistry, Chemistry (MIPA), Environtmental Engineering. Bachelor Degree or Equivalent (S1/D4) in Civil Engineering (Professional Code : SCV), with major study in ; Civil Building Construction, Design Construction, Civil Construction, Civil Engineering, Structure Engineering, Marine Engineering, Civil and Building Engineering, Civil and Environmental Engneering, Hydro Civil Engineering. Diploma Degree (D3) in Civil Engineering (Professional Code : DCV), with major study in ; Civil Building Construction, Design Construction, Civil Construction, Civil Engineering, Structure Engineering, Marine Engineering, Civil and Building Engineering, Civil and Environmental Engneering, Hydro Civil Engineering. Male/Female for Non Engineering position. S1/D4 : Birth in 1988 and thereafter. D3 : Birth in 1991 and thereafter. Engineering : GPA ≥ 2.75 (on a 4-point scale). Non Engineering : GPA ≥ 3.00 (on a 4-point scale). For Non Engineering position : preferably fluent in English as evidenced by a valid certificate and issued by official institution (minimum TOEFL score of 450 or TOEIC 470 or IELTS 4). Must have a diploma or Certificate of Graduation (SKL) in accordance with the Study of Education. Willing to be placed throughout the work unit PT Indonesia Power. Willing to undergo Association Office for 5 (five) years since following the Pre-service Training program. For S1/D4 applicants : can not apply on D3 position (down grade). Have a good health to perform job duties at PT Indonesia Power and not color blind partial / total, as evidenced by a health certificate from a doctor. Good character as evidenced by SKCK. JobsCDC.com now available on android device. Download now on Google Play here. Please be aware of recruitment fraud. The entire stage of this selection process is free of charge. PT Indonesia Power - D3, D4, S1 Fresh Graduate Regular Recruitment Program PLN Group August 2016 will never ask for fees or upfront payments for any purposes during the recruitment process such as transportation and accommodation.